Until now, if you had audio files stored in your OneDrive space, you could stream them with Groove Music. But this feature will disappear as of March 31. Microsoft announced the news in a new support note. 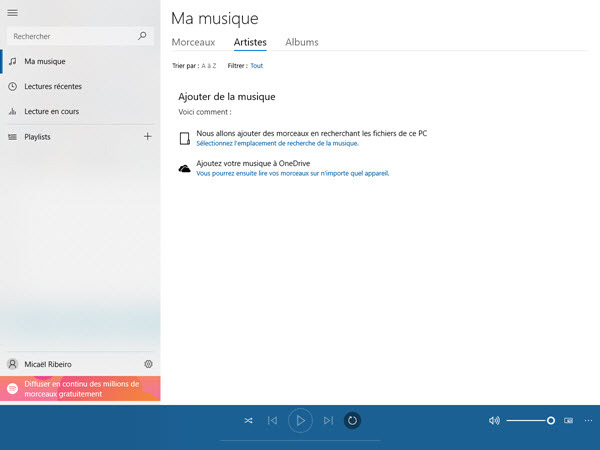 Fortunately, this does not delete the music files stored on OneDrive: "Your personal music files will remain available in OneDrive. You can continue to listen to your music using the OneDrive web player or by downloading your files and playing them in the Groove Music application," Microsoft explains. After the end of Groove Music applications for Android and iOS at the end of last year, there are now few advantages to using it as a music player except to be able to enjoy a more pleasant interface than Windows Media Player. Often imitated but never equalled, Auto-Tune software is available in an even more complete new version.